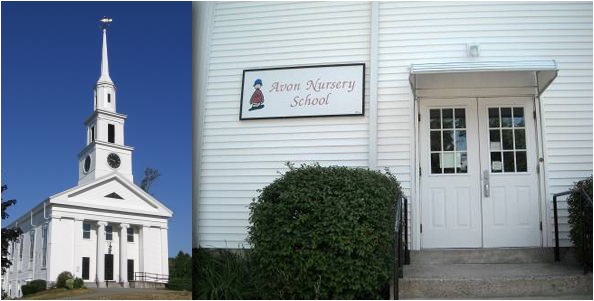 The Avon Nursery School is located in the rear entrance of the Avon Baptist Church in the center of Avon, Massachusetts. Our license is through the State of Massachusetts, Department of Early Education and Care Services (EEC). The regional office are located at 21 Spring Street, Taunton, MA 02780. They certify all of our staff. We observe all of their regulations regarding the care and teaching of young children. We do not discriminate because of race, cultural heritage, religion, political beliefs, marital status, disability, national origin, sexual orientation or lack of toilet training. Our school is open to all children who are 2 years 9 months to age 5 years old.